The Hadassah Foundation: The Hadassah Foundation...out and About! Last month, you could have found the Hadassah Foundation out and about at both ends of the country! 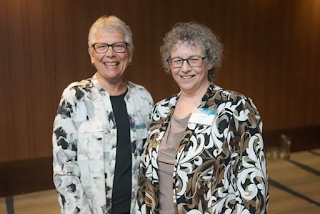 Board Member Liz Alpert, above, on the left, attended in San Francisco the 25th anniversary Creating Hope celebration of our former grantee, Shalom Bayit. 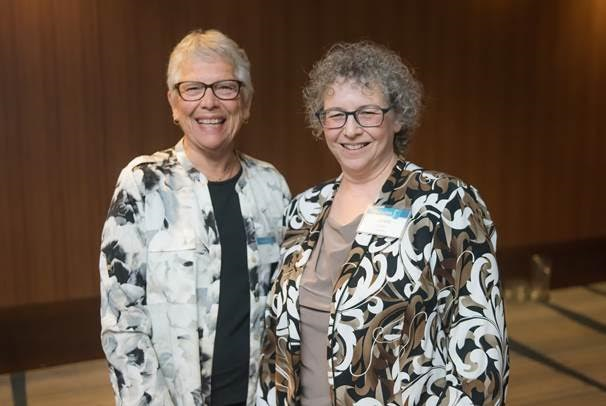 They raised $350,000 to support their efforts to strengthen crisis intervention services for battered women, abuse prevention education for Jewish youth, and programs that build a Jewish communal response to abuse. Mazel tov! On the other end of the country, in New York City, the Foundation attended the closing conference of the Shalom Hartman Institute of North America's Created Equal Fellowship program. The Fellowship, which was supported by the Foundation, uses Jewish texts to explore themes related to gender equality and leadership in the Jewish community. 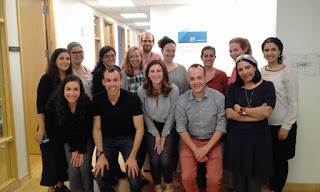 The Fellows, pictured above, are all graduate students in Jewish communal programs from across the U.S.